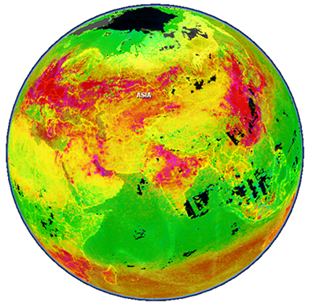 Climate Wikience contains a rich collection of air quality data derived from measurements of satellite instruments. Please refer to the table below. The AOT value is unitless. Biases for satellite data are found experimentally. Bias defines the maximal deviation of the variable values from measurements observed by other instrumentation (ground stations, vertical atmopsheric sounding, aircraft, etc.). Dash (–) means that experiments for bias estimation are not finished. 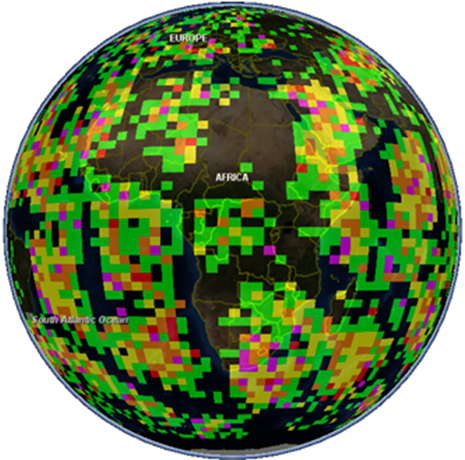 Data are located at the nodes of regular latitude-longitude grid. The spatial resolution is approximately given for 48° latitude. Temporal resolution of all data is one (1) day (i.e. data are available daily starting from the given date till current). You can find examples of these data analysis in “Analysis” section of main menu. You can also browse all posts from analysis category.